Are you guyz Super Bowling tomorrow?!?! Are you having a party, no party, a little food, A LOT of food? 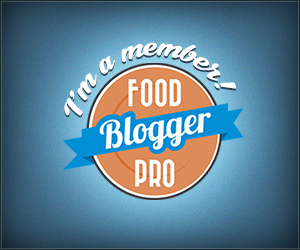 Does it include some chili bacon wrapped dates with Manchego?! Tell me the details of how you Super Bowl. We can make Super Bowl a verb right? I’m thinking since it’s pretty much officially an unofficial holiday with all its own special commercials, appetizers and game day chili gloriousness, and cheering and yelling at the TV (even though I still don’t know who’s playing) it can be a verb. Are the Patriots playing? I really don’t know. I haven’t Googled it yet. Not knowing is an unintentional annual Super Bowl tradition of mine. I feel like I might win a gameshow with my Patriots guess though. 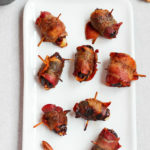 And I’m definitely winning with these chili bacon wrapped dates with Manchego! I don’t know what I’m winning but I’m apparently winning something cuz when my peeps eat these tasty date appetizers, they say “oooh, those dates are sooo winning right now.” Yes, they are good but could someone please tell me WHAT exactly it is that I am winning? Alright, so let’s get to the important stuff besides our predictions on what will shock our socks off during the halftime show. Important Super Bowl stuff = THE FOOD. But first, do you tune in to the Super Bowl only when the halftime show is on OR are you one of those people who only watches the game OOOR do you go for the full Super Bowling experience and watch the game, the halftime show and all the commercials? I’m so curious. Please tell which one you are and why. Back to the food. 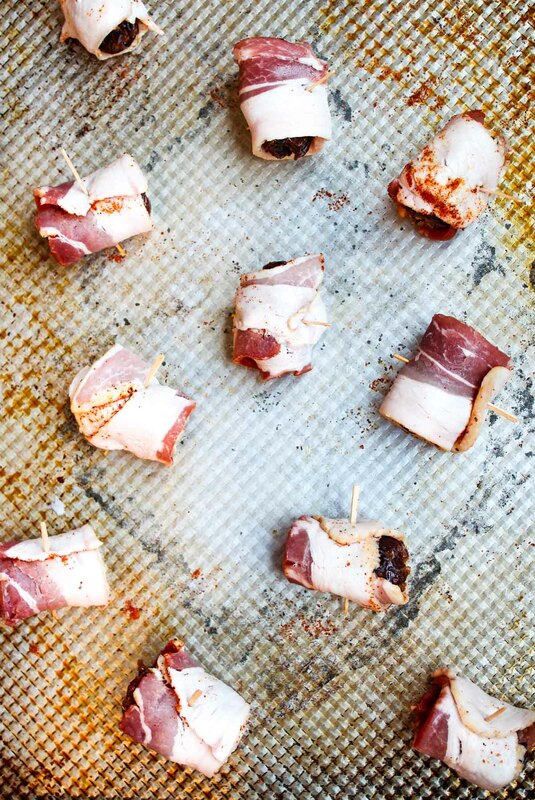 Chili bacon wrapped dates with manchego my friends. 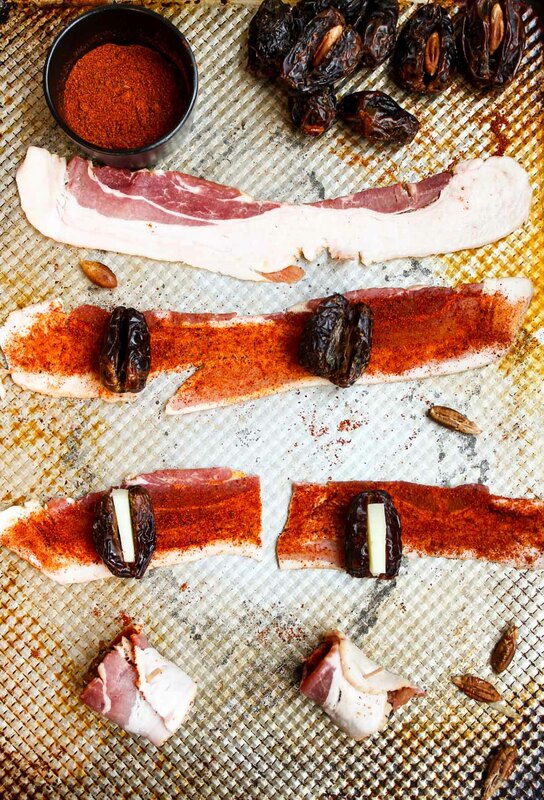 There are like a bajillion recipes on earth for bacon wrapped dates. All with their own rendition of what kinda cheese to stuff in the dates, how to prep the bacon, yada yadda yaaaaaa. But I’m pretty sure there aren’t any with chili and Manchego. If there are, don’t tell me. I like to feel like I’m original. Each sweet date is stuffed with a little creamy, slightly nutty flavored Manchego and then all wrapped up like a pig in a blanket with the salty savory bacon that’s been rubbed with chili powder to give it that little extra kick of flavor. Bake it between 14-16 minutes in the oven and that’s it. The first time I had a stuffed cheesy date wrapped in bacon was on a babymoon vacation that my hubby and I took to New York City 4 years ago. And since then, I’ve been on a quest for the perfect stuffed date flavor combo. I think this date combo is IT. As in it’s winning. 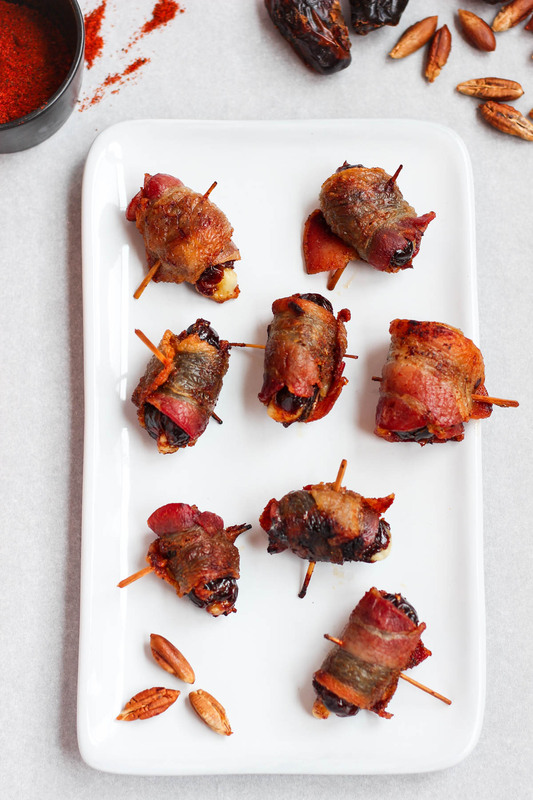 These chili bacon wrapped dates with Manchego are a salty-sweet appetizer with a spicy kick! Perfect for a party or any type of gathering! Using a small knife, make a small cut in one side of each date and remove the pit. Insert 1 piece of cheese into each date. Brush bacon slices with 1/2 tsp chili powder (or less if you like less spice) on 1 side of the bacon. 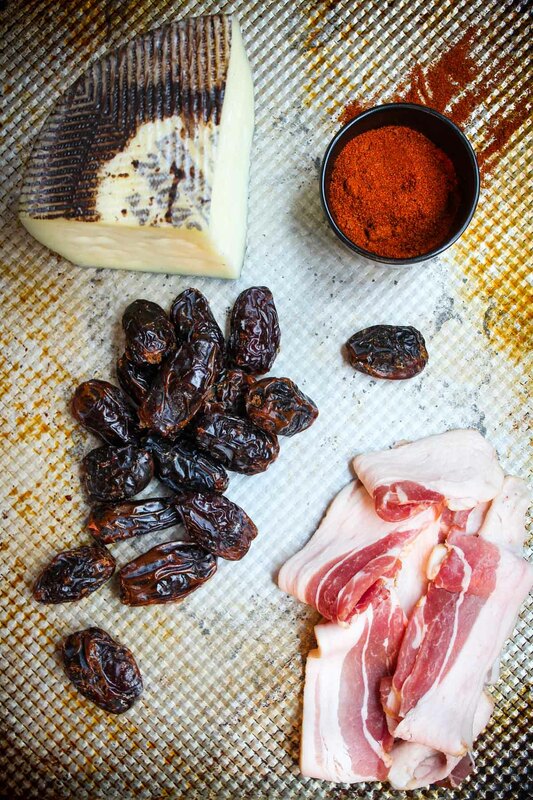 Wrap each date with 1 piece of bacon, with chili powder side against the date. Secure bacon onto the date by inserting a toothpick through it. Place dates on rimmed baking sheet. Roast until bacon is browned on bottom, about 6-7 minutes. Turn dates and roast until bacon is cooked, about 7-9 minutes longer. Transfer to a plate with a paper towel to soak up some of the oils and to allow them to cool slightly. Transfer to your serving dish and enjoy! 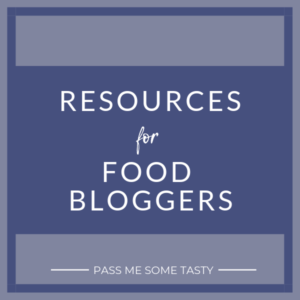 Medjool dates and Manchego cheese can be found at most grocery stores. The most economic place I have found both of them at is Costco. 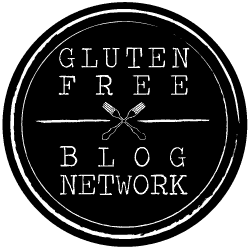 This was so yummy and easy to follow! I normally won’t eat dates but bacon makes everything better!